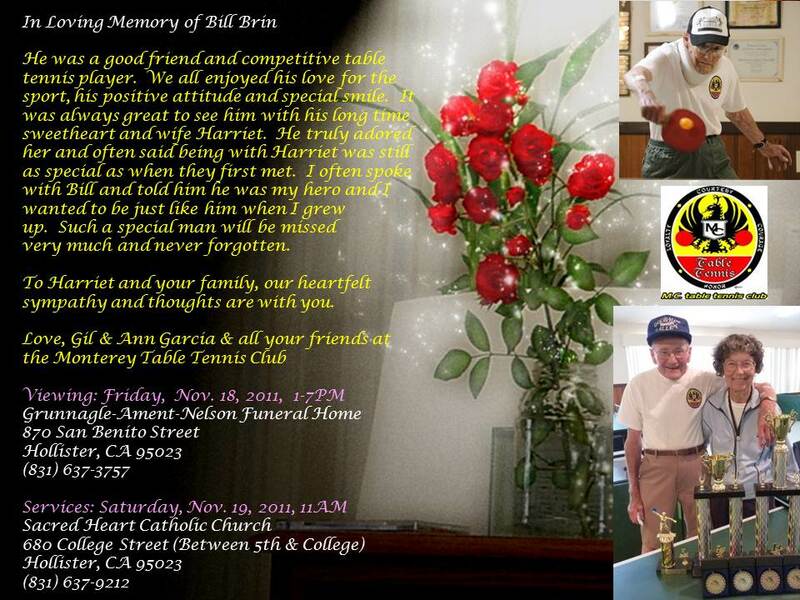 Please visit the Photo Album for selected moments from Bill's funeral that was held on Nov. 19, 2011. 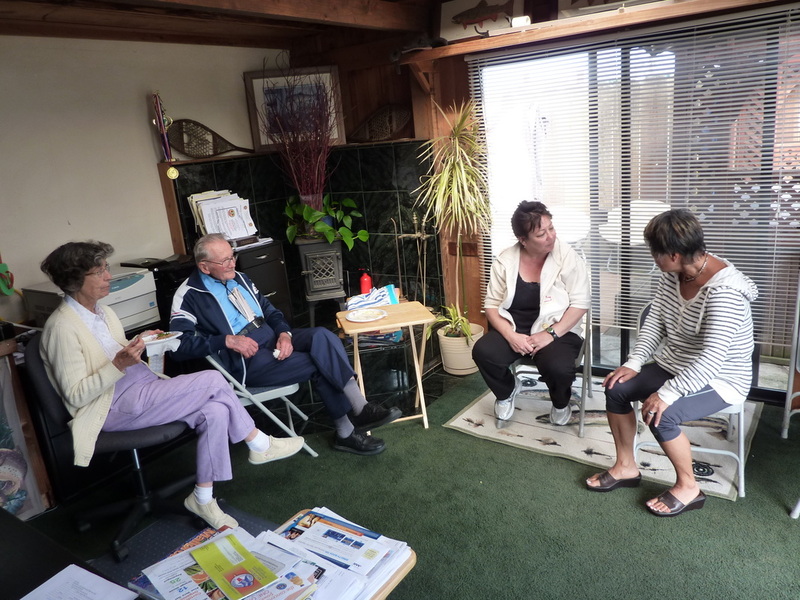 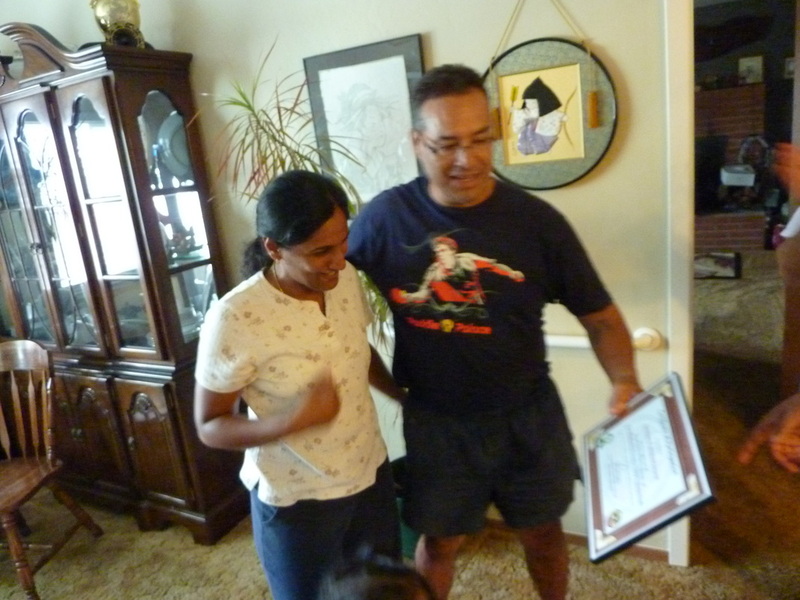 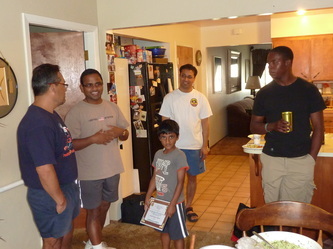 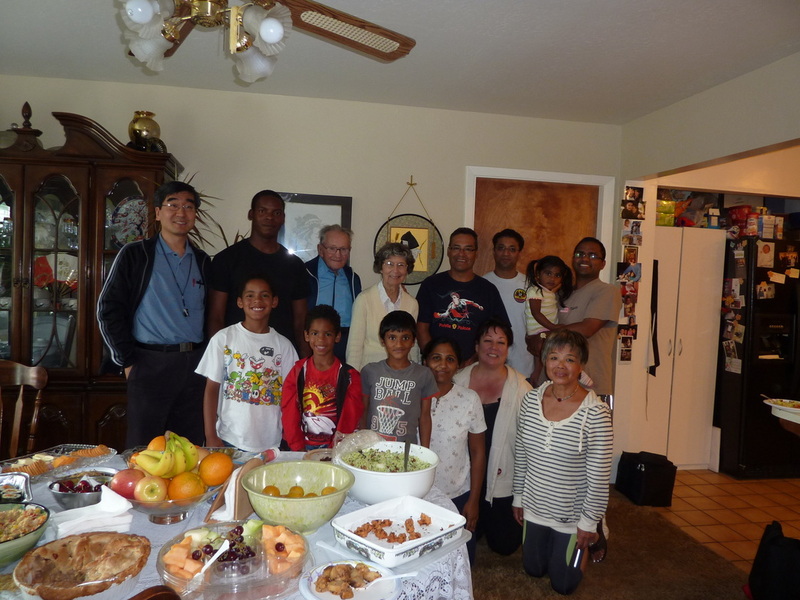 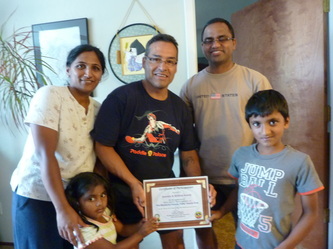 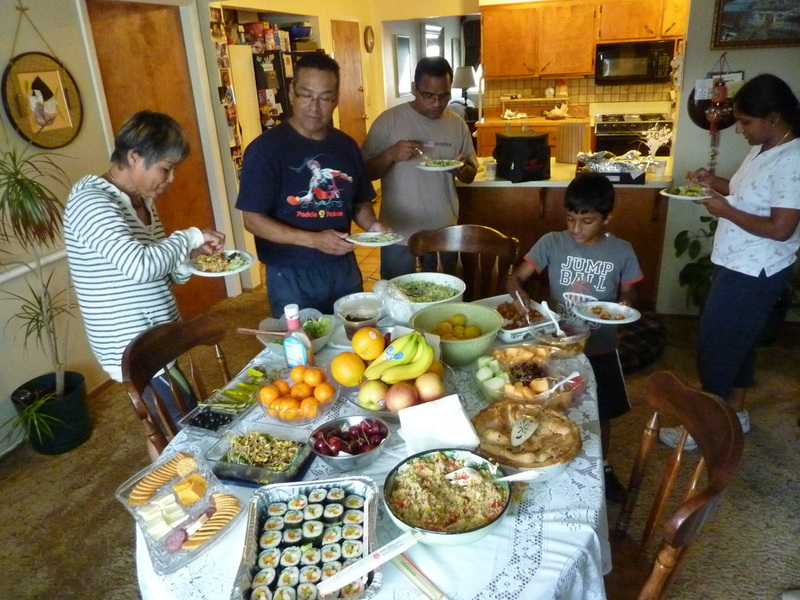 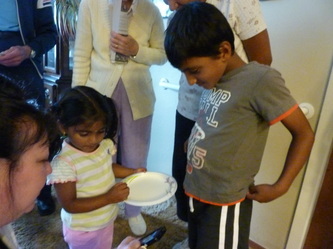 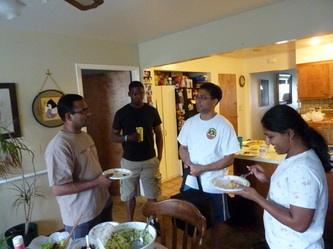 We had a farewell party at Gil's house for Anand's family who will be moving out of town (although Anand will still work in Monterey and visit the club). 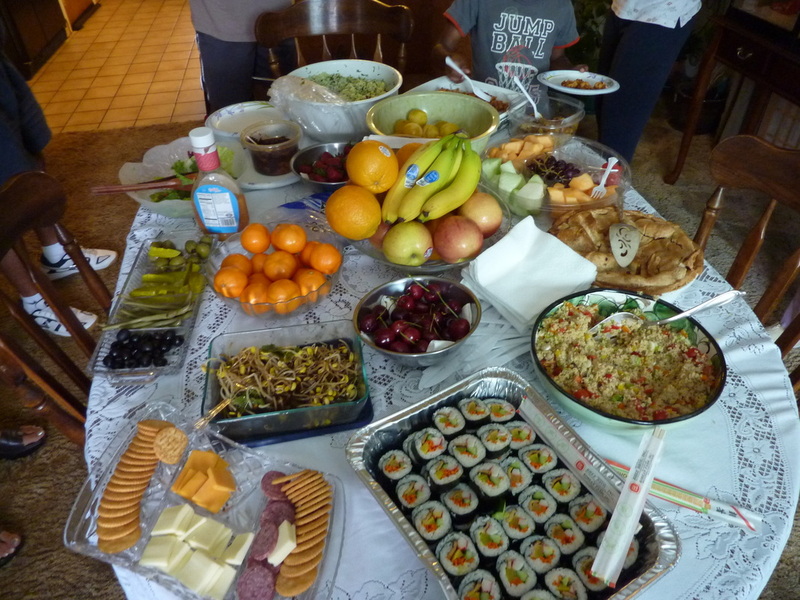 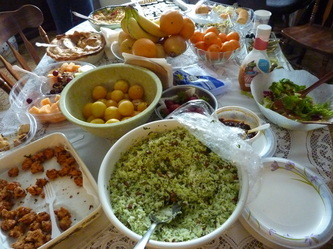 It was a potluck party with lots of good food to enojy. 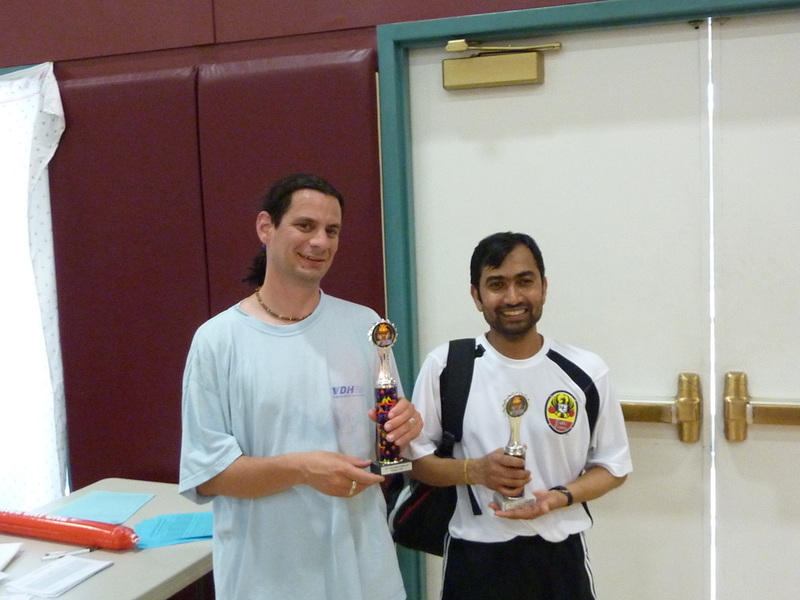 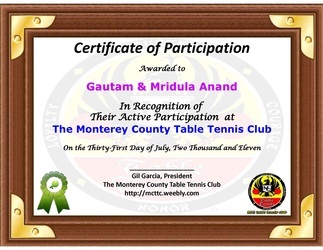 We also awarded Gautam and Mridula a plaq to appreciate their active participation at the club. 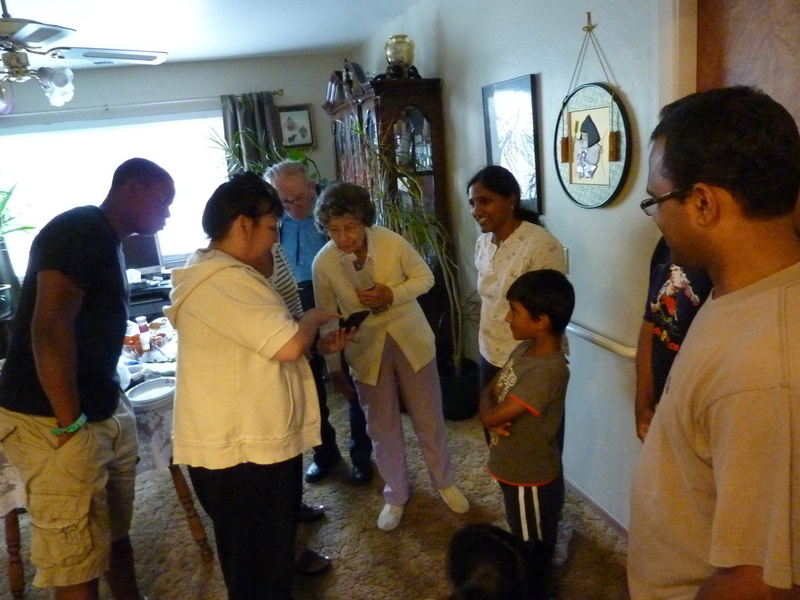 Check the photos (click to enlarge). 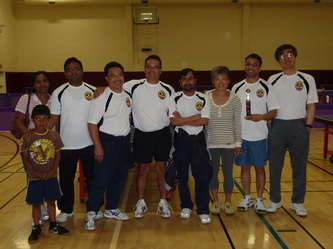 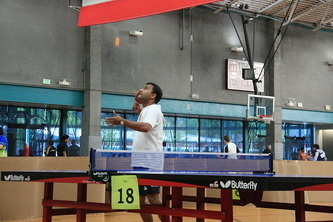 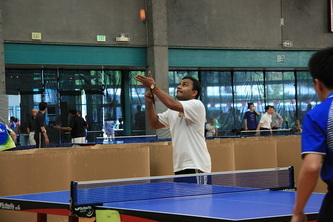 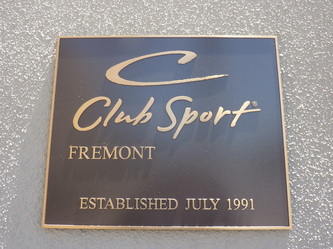 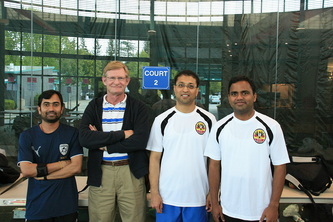 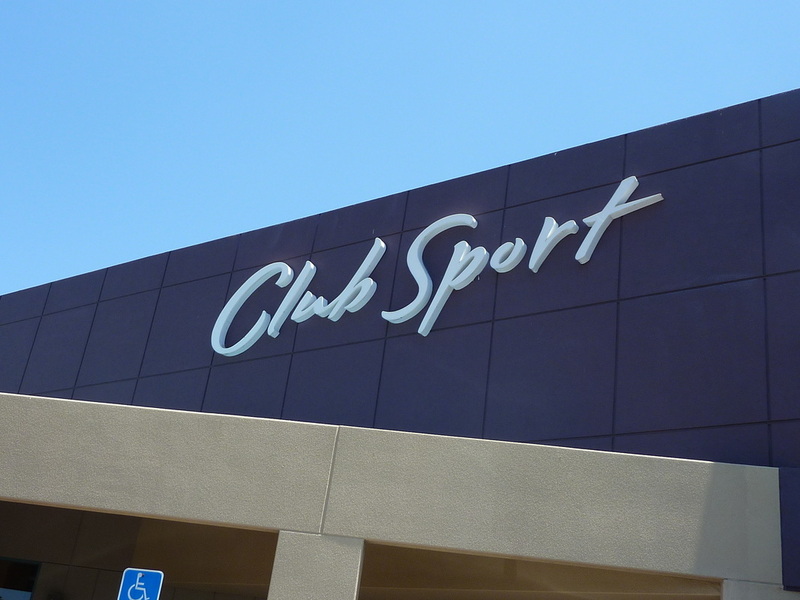 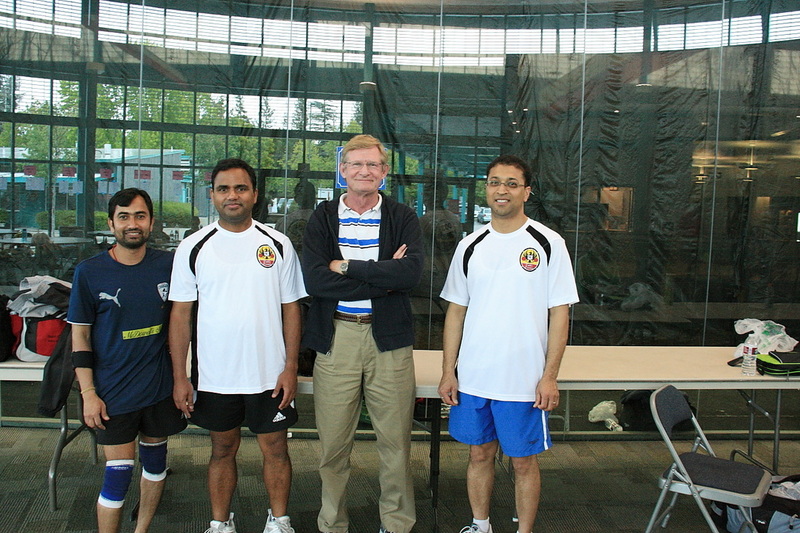 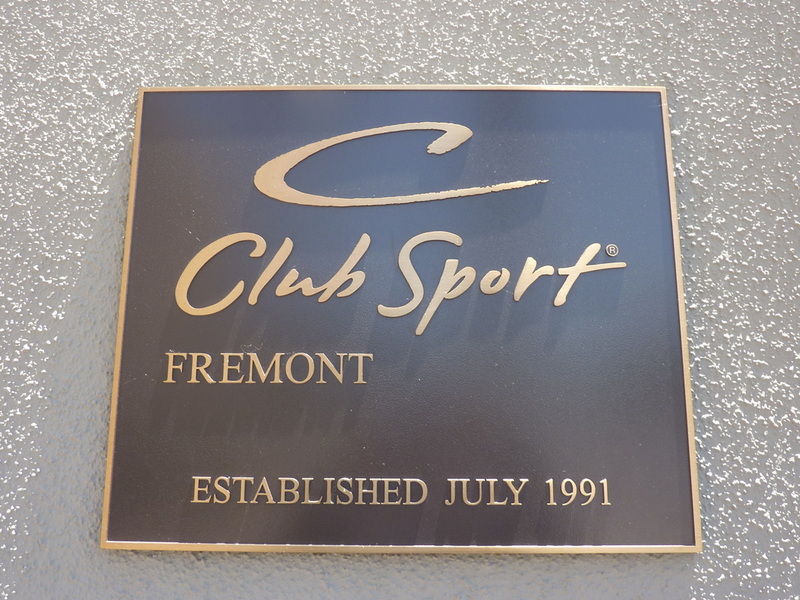 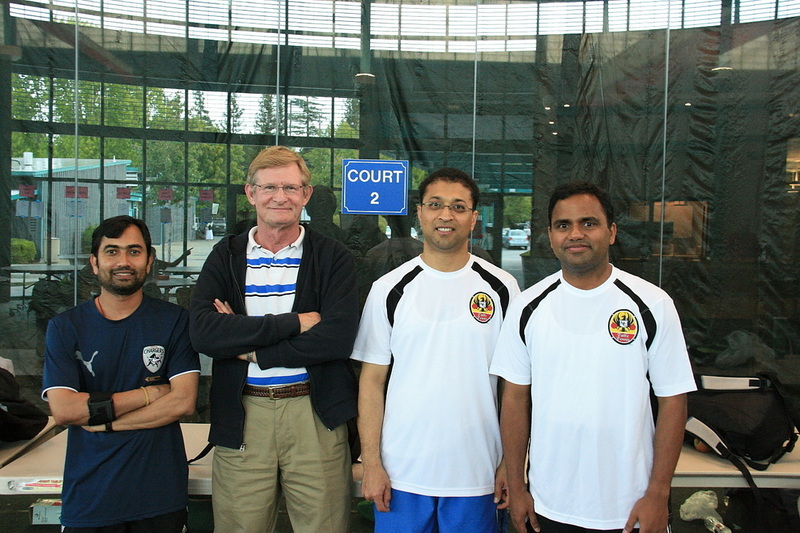 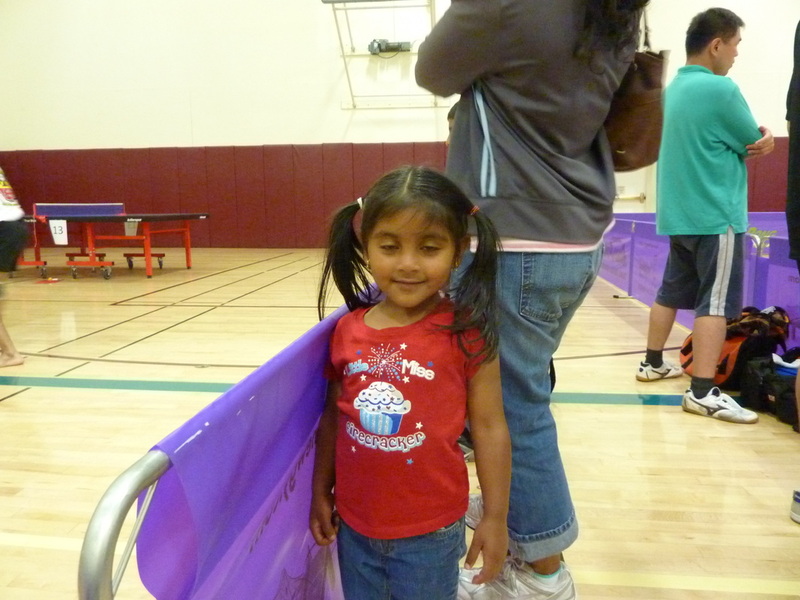 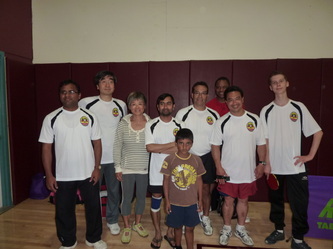 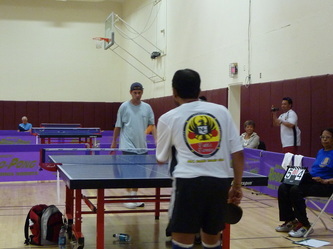 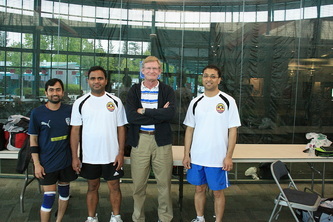 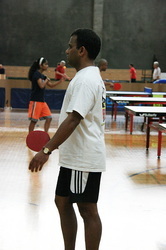 A large group of members from the club either participated in or observed the US Open Warm-Up held at Club Sport in Fremont on June 25, 2011. 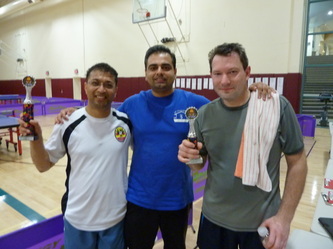 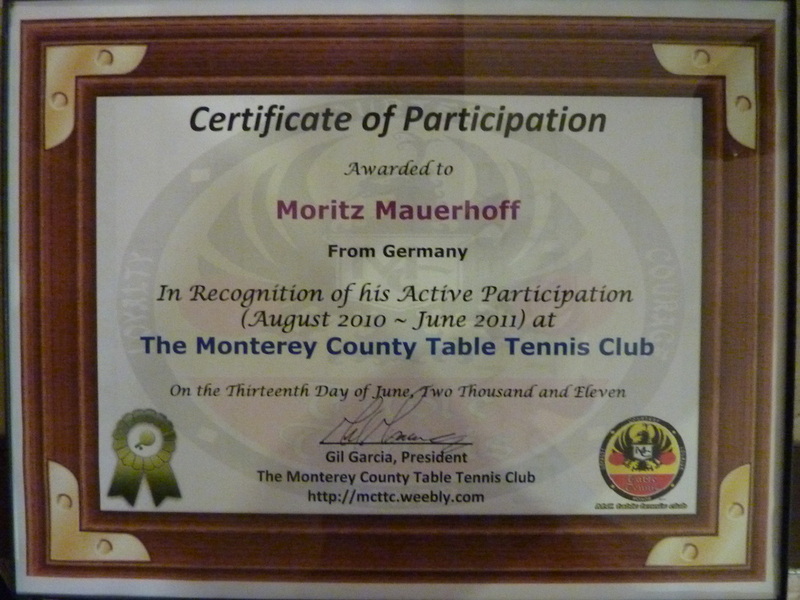 It was probably the largest group from the club ever represented at any tournament. 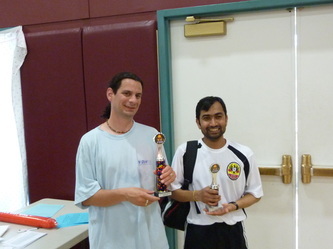 We also demonstrated the best-ever performance: Tobias, our newest member, reached the semi-final in U1550, Shrikant received the 2nd place trophy also in U1550, and PD won the U1850 event! 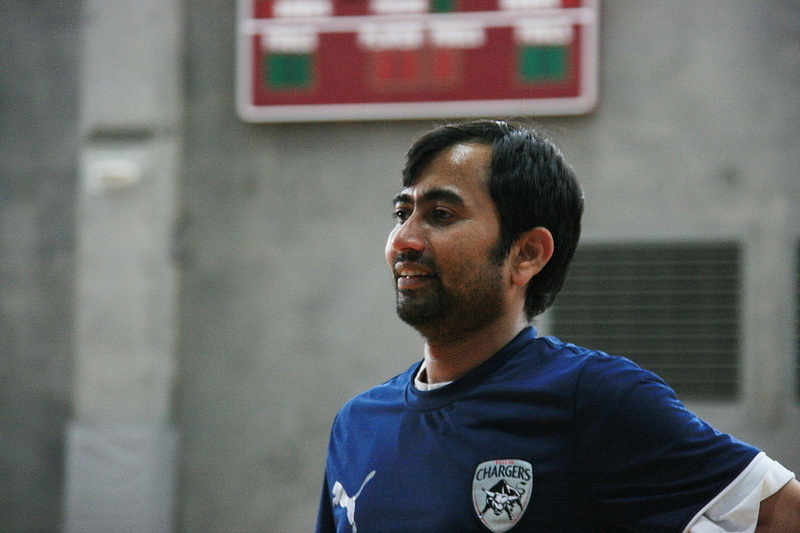 It was a monumnetal day for the club with our uniform seen everywhere in the gym throughout the tournament. 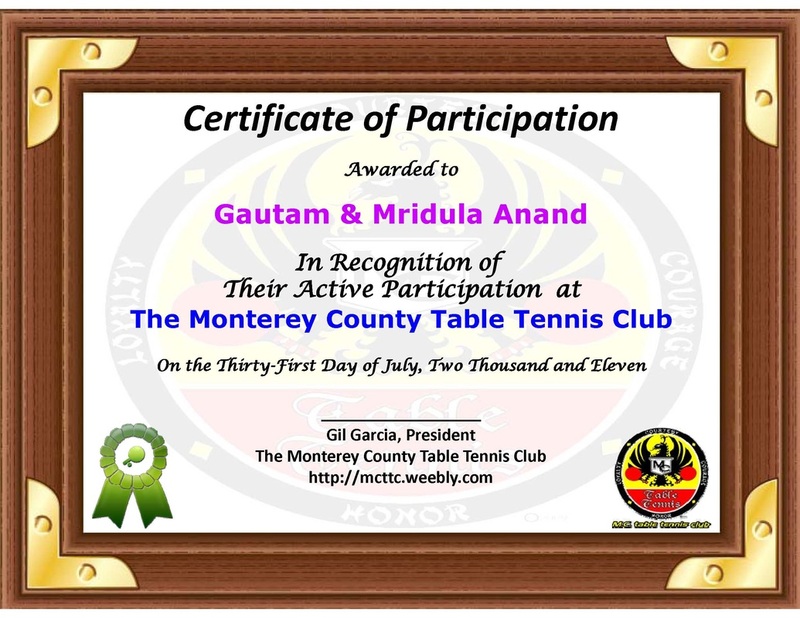 Check the photos below (click any photo to enlarge/download). 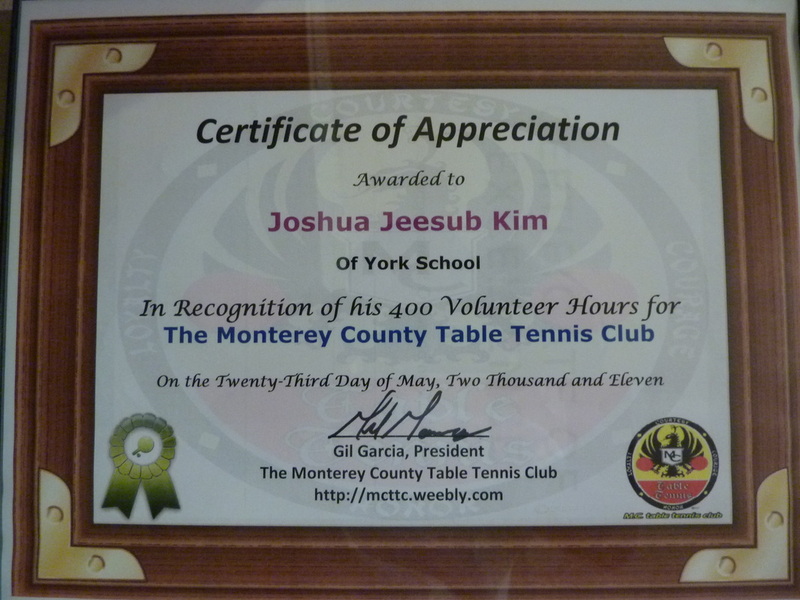 Josh received a Certificate of Appreciation from the Club for his 400 hours of volunteer time while he is attending York (High) School. 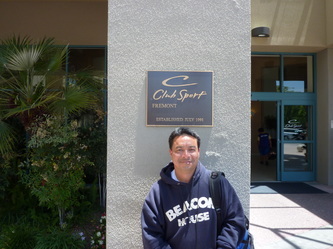 Gil - the club president - awarded him a plaque and a nice sports watch. 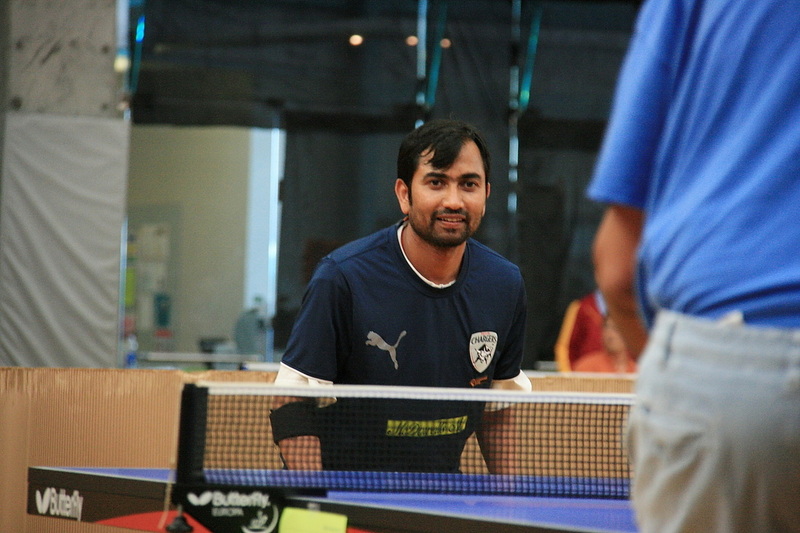 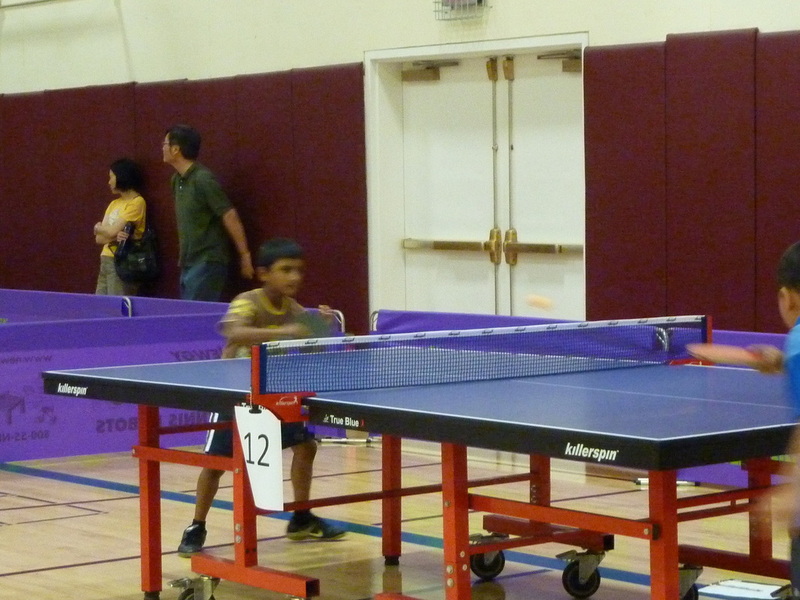 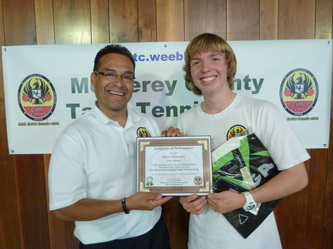 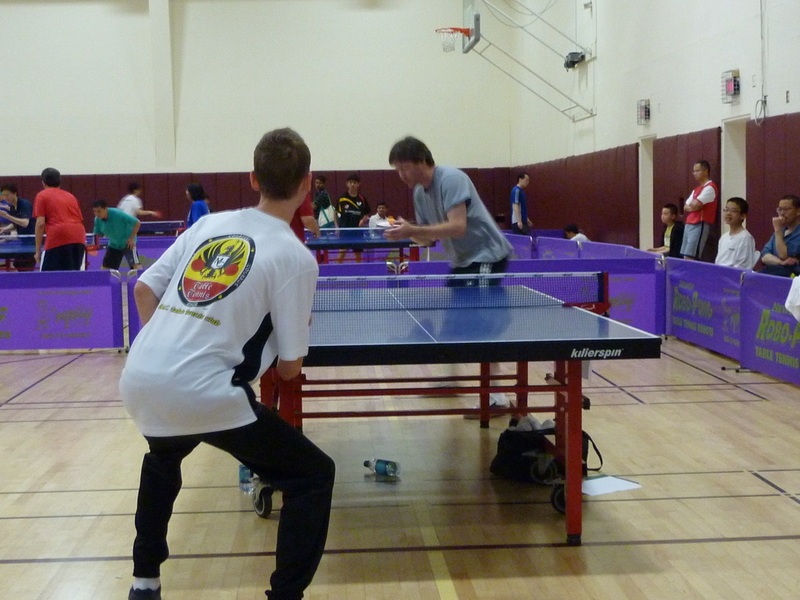 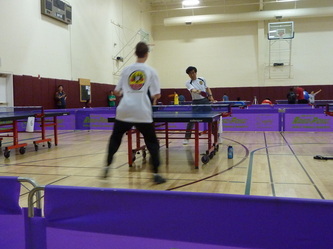 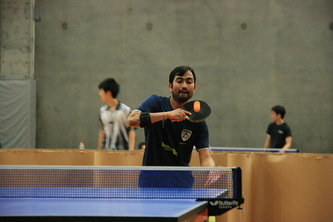 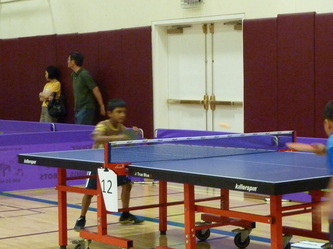 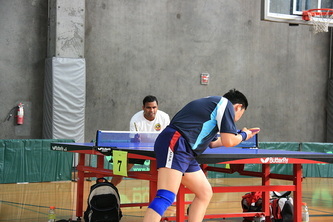 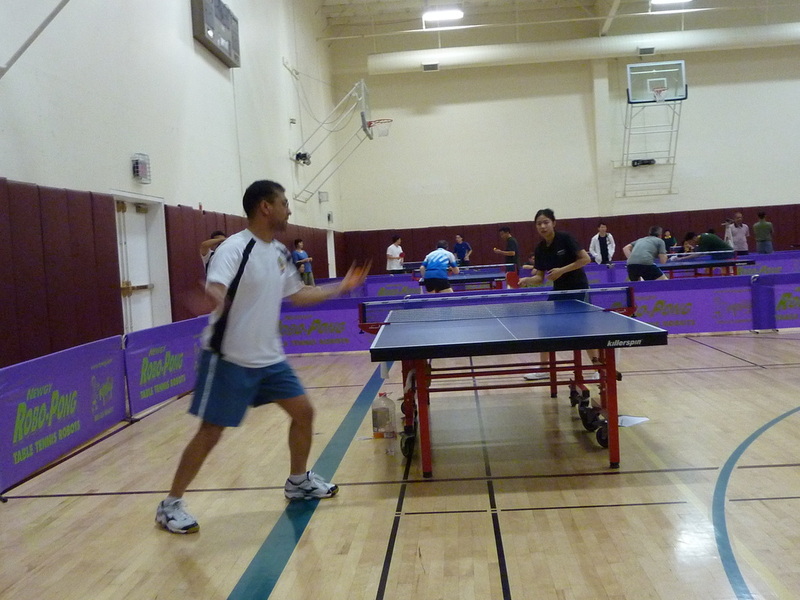 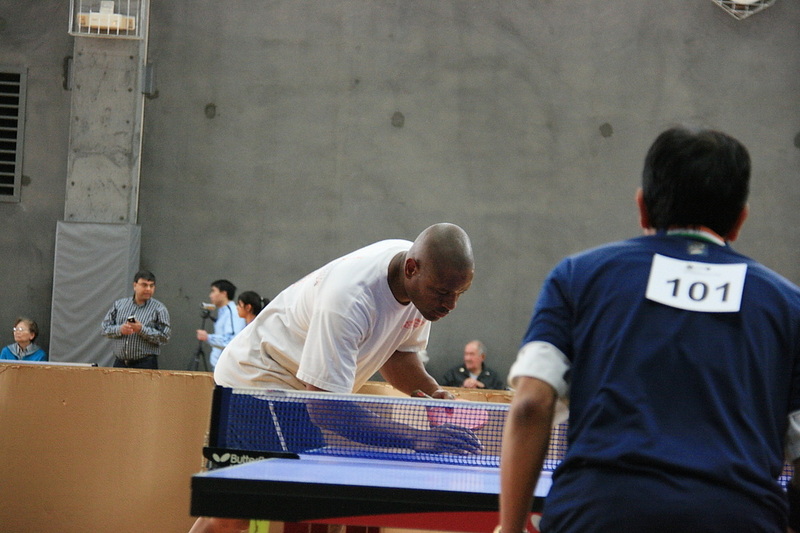 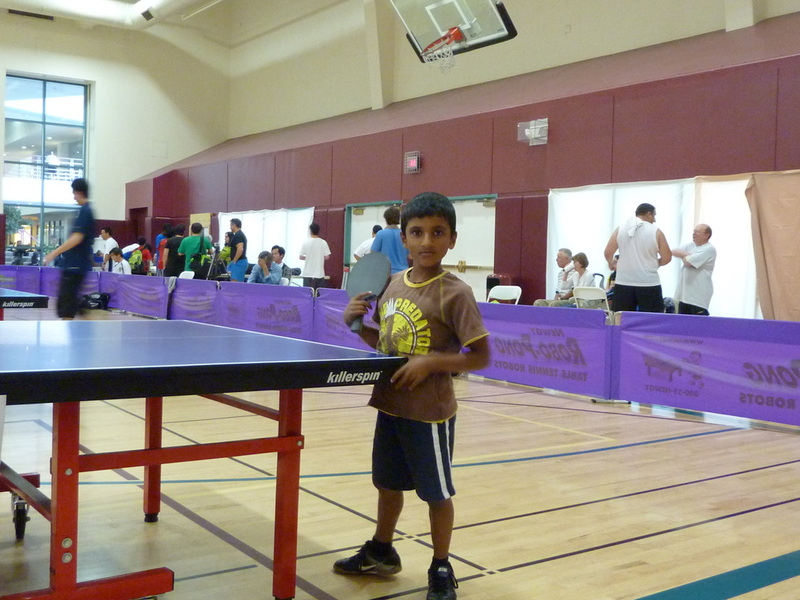 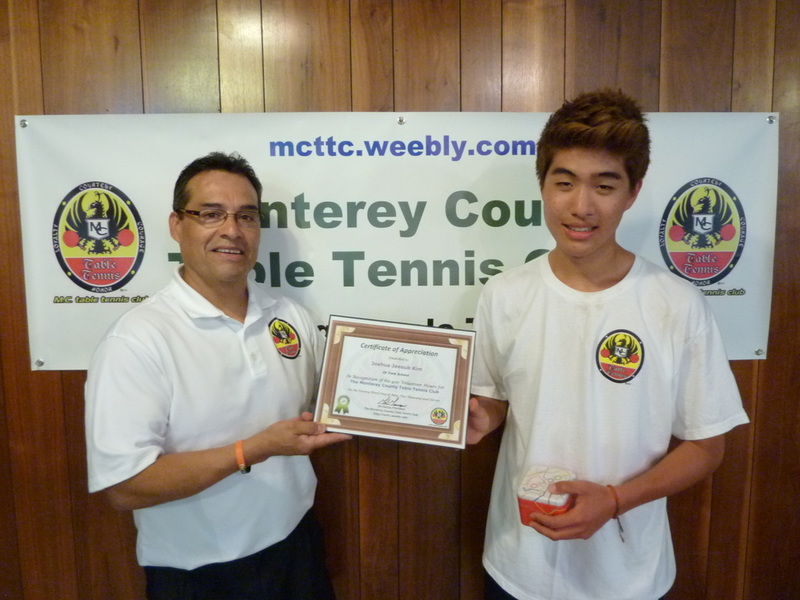 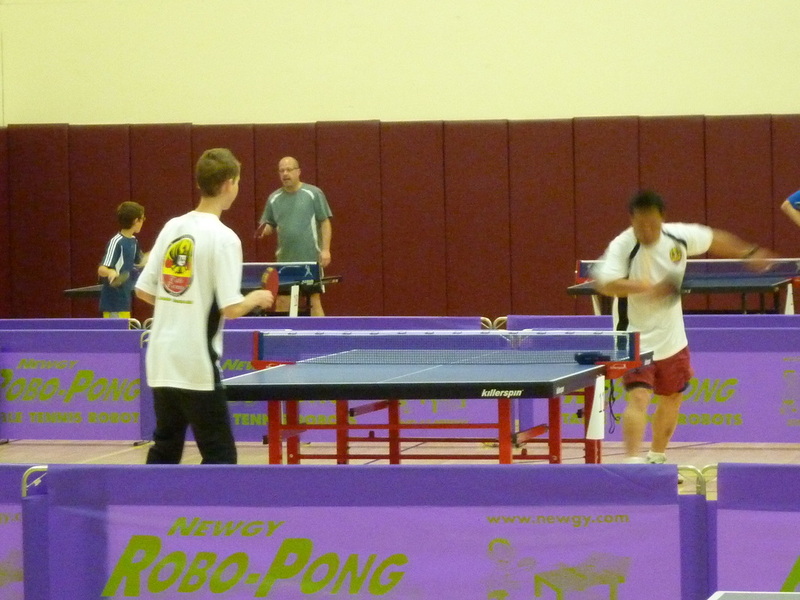 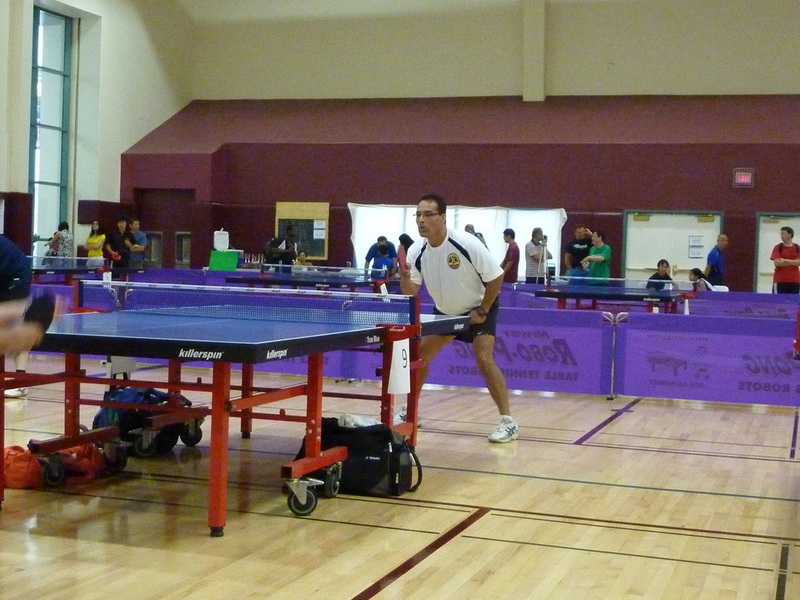 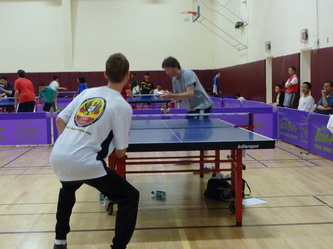 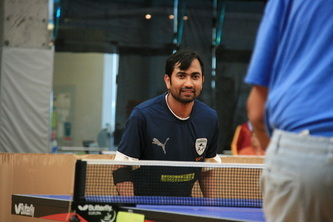 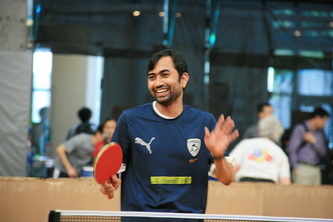 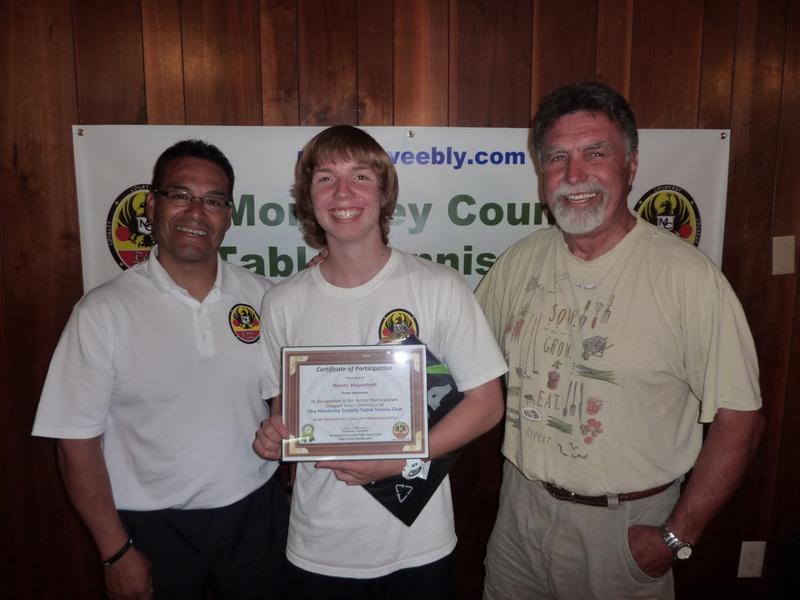 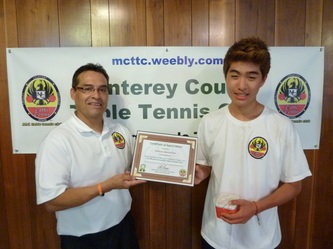 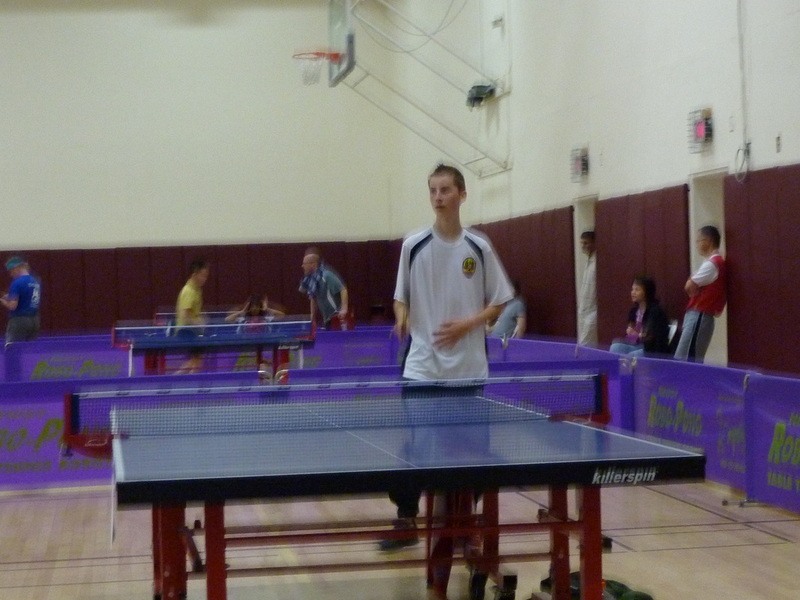 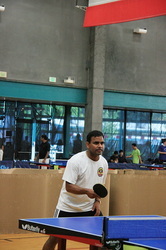 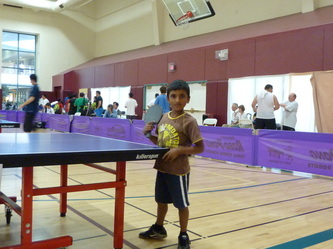 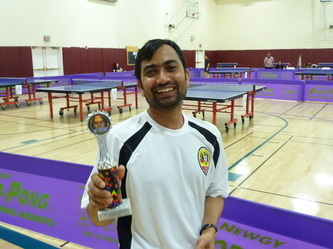 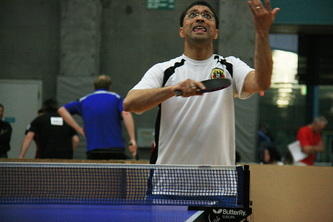 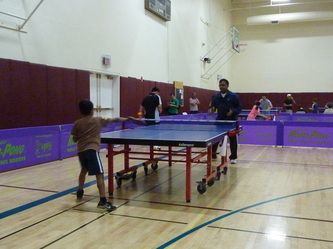 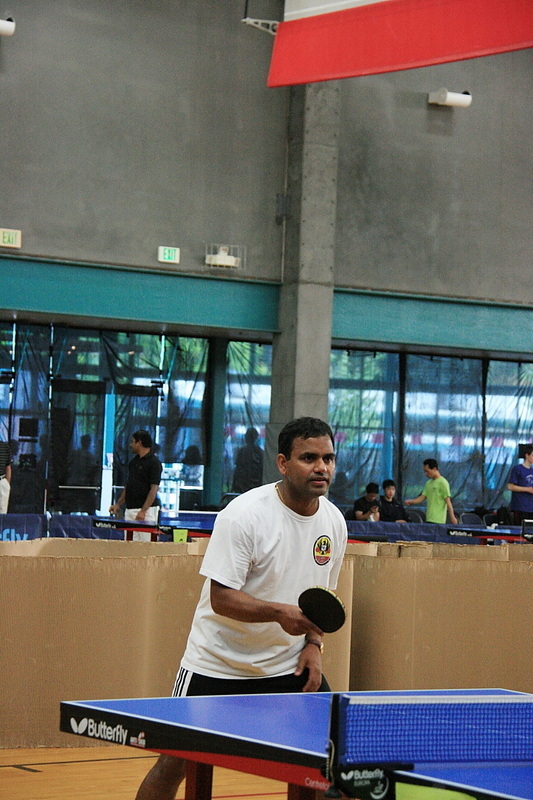 Josh will continue to play table tennis at UC Berkeley where he will attend to study Mechanical Engineering. 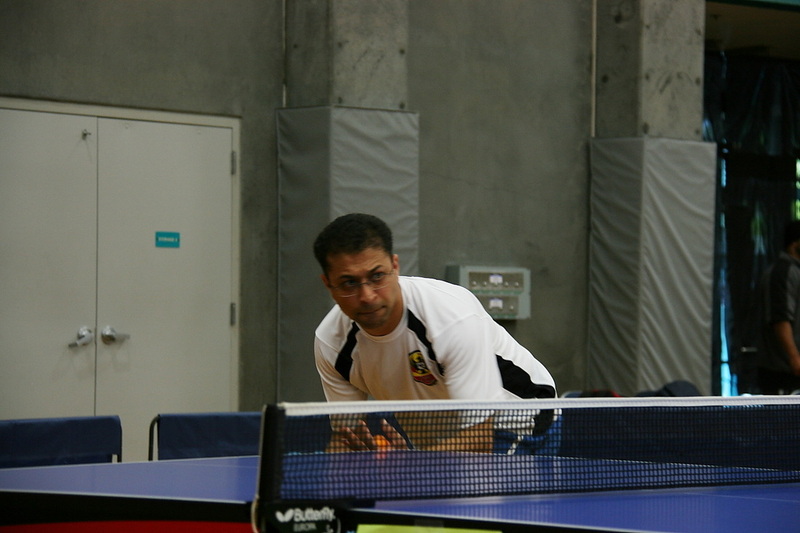 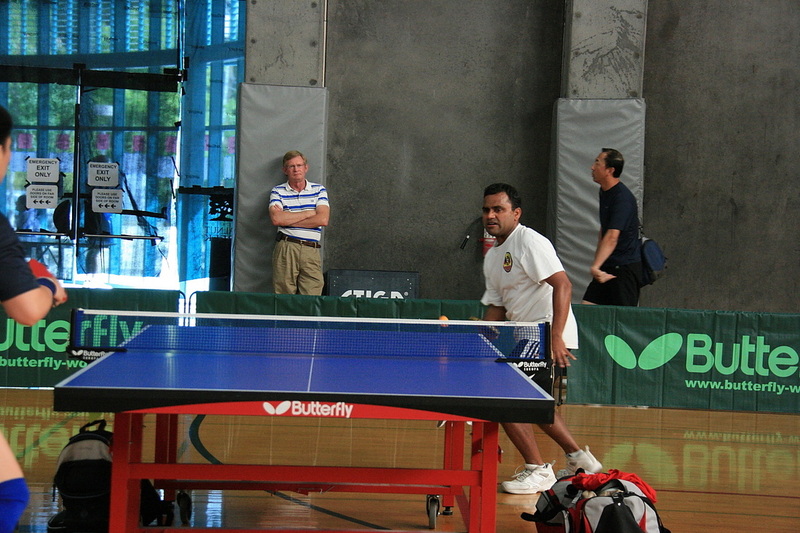 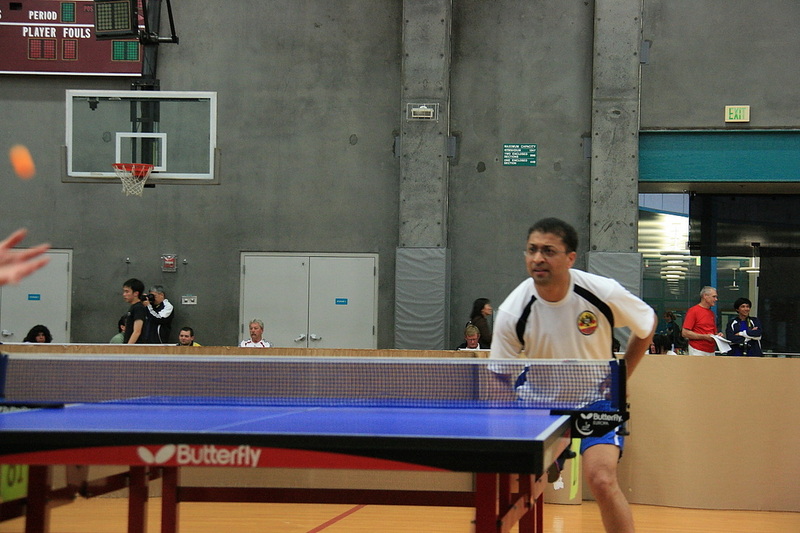 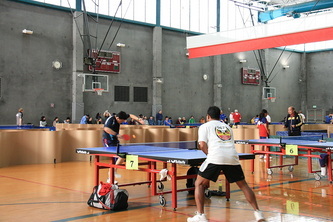 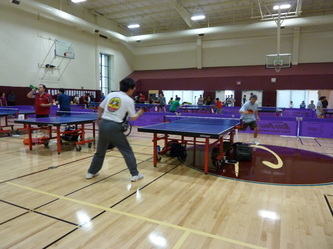 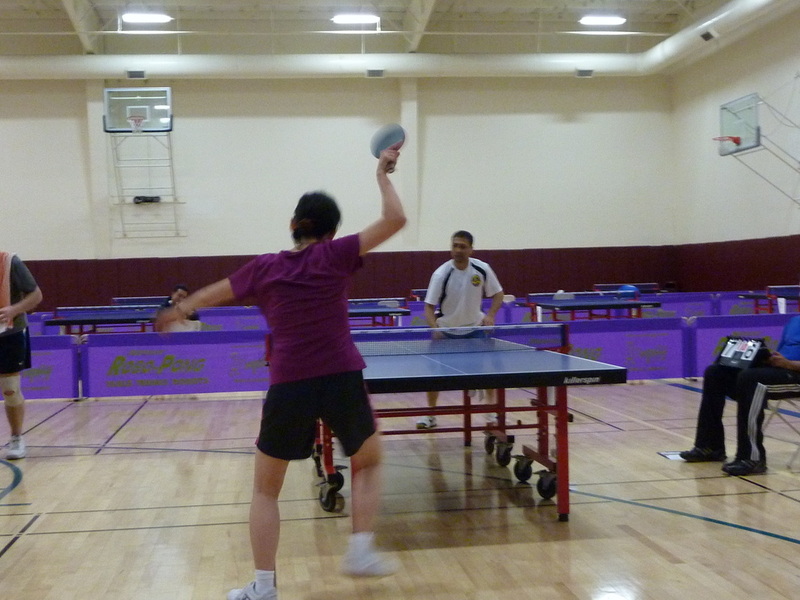 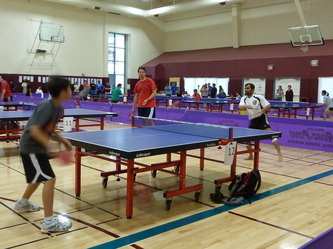 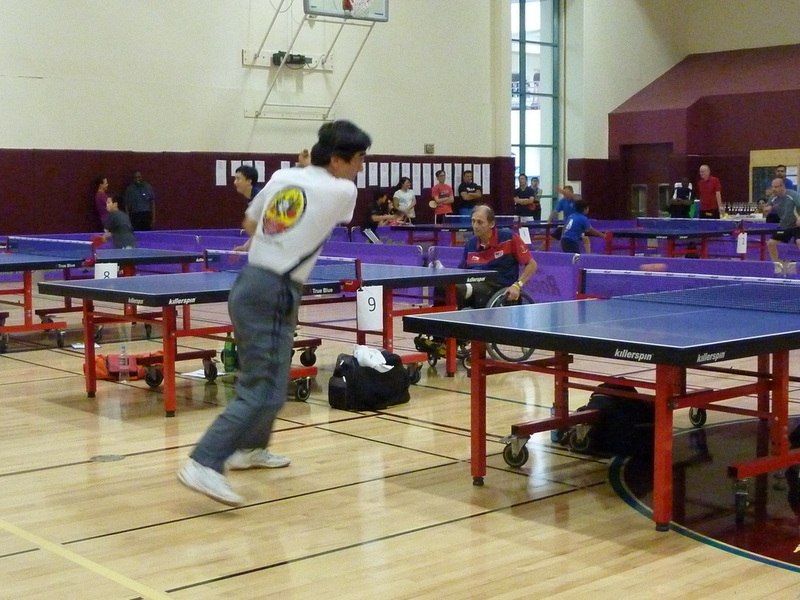 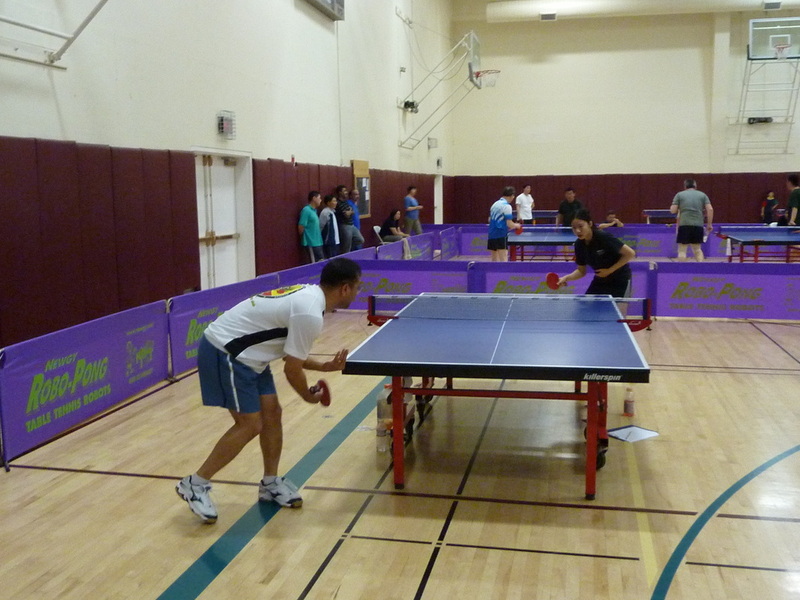 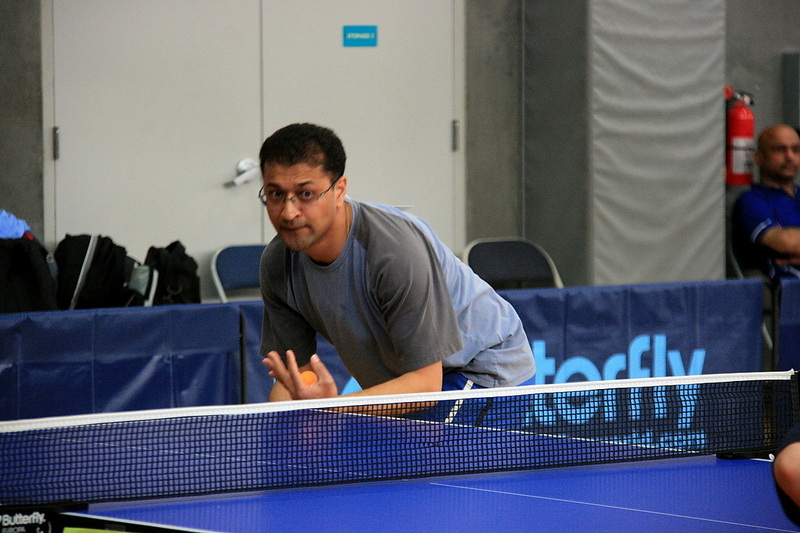 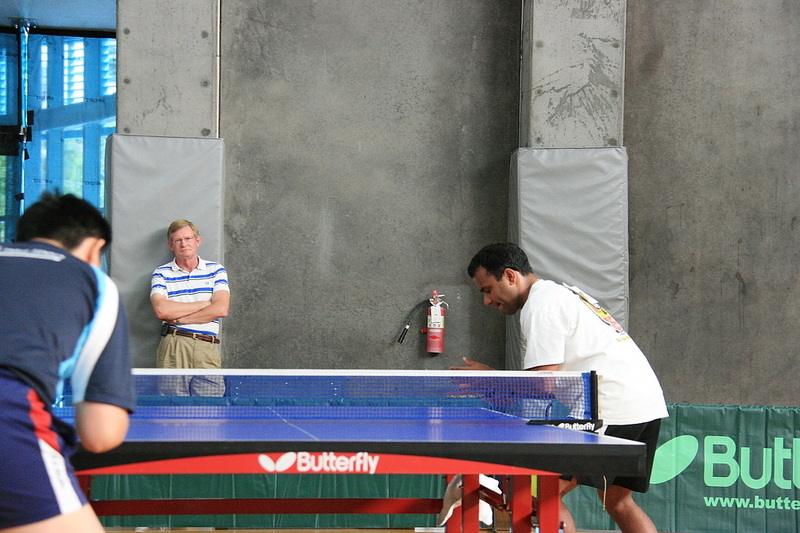 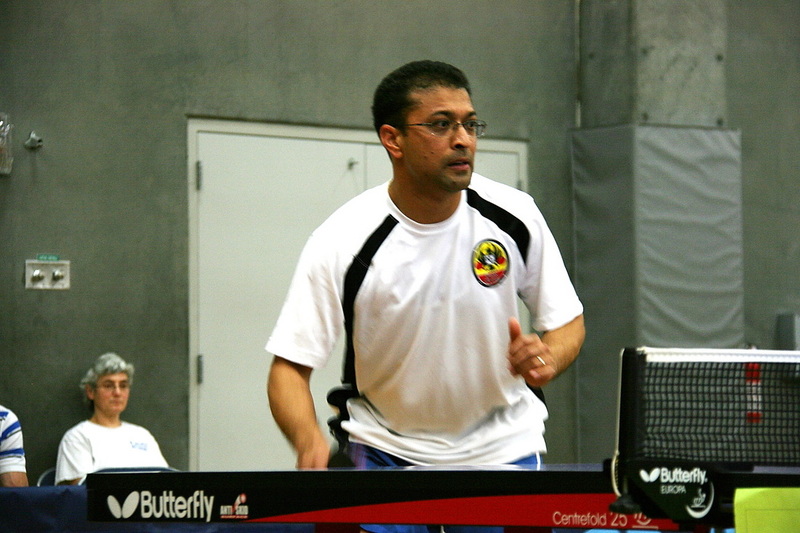 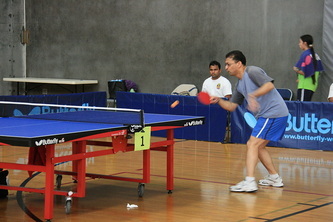 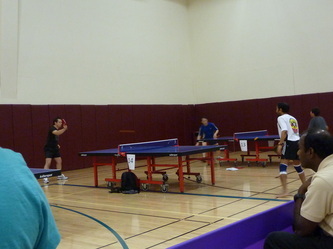 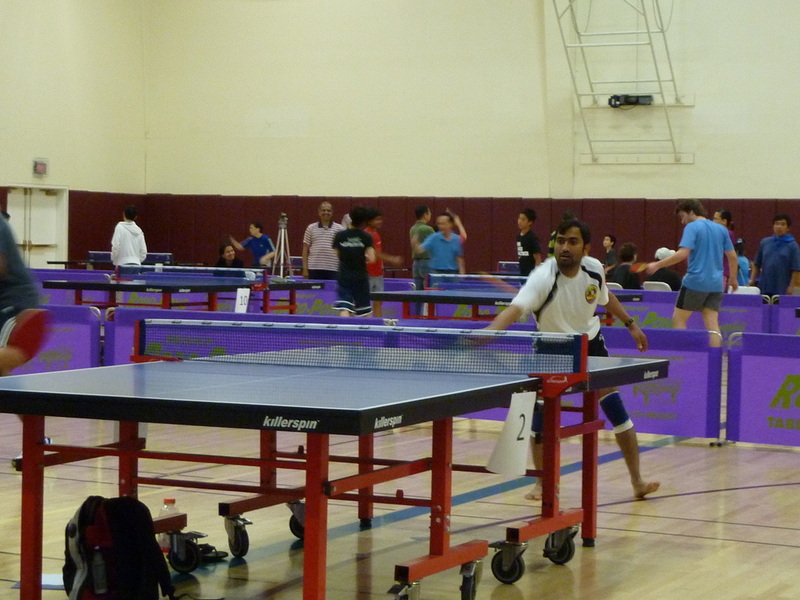 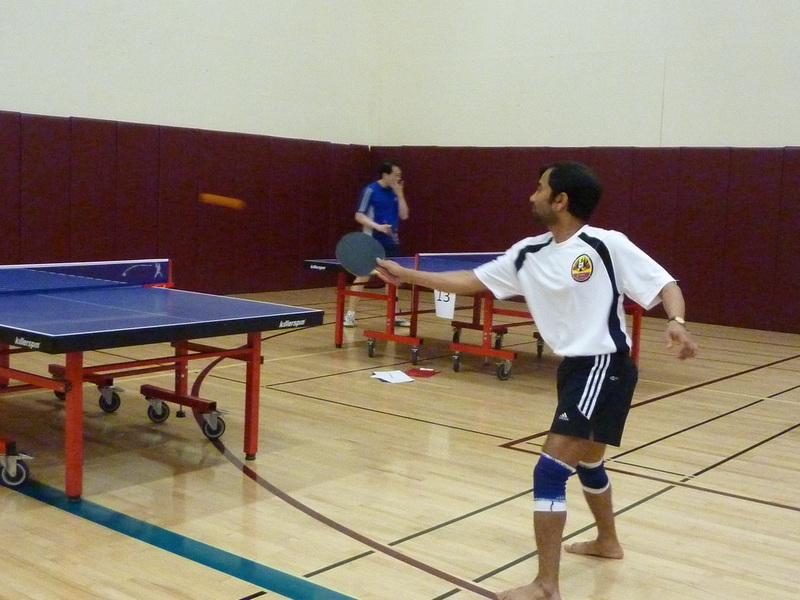 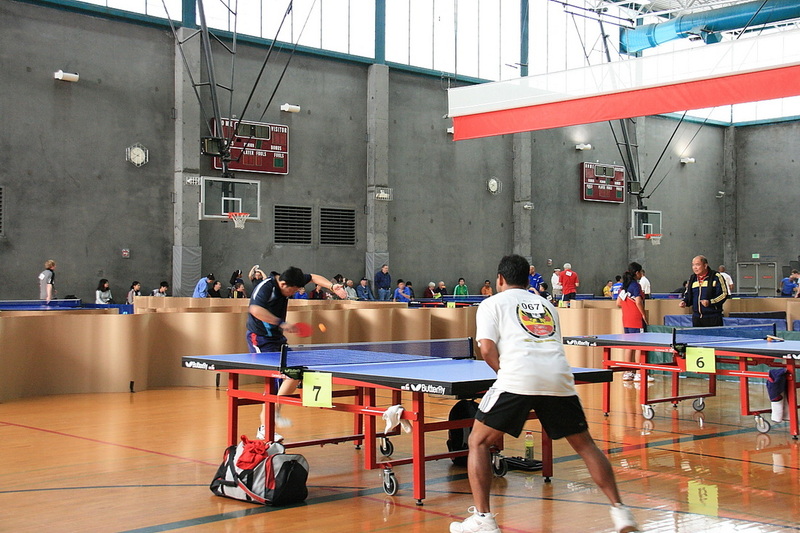 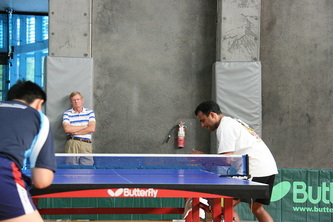 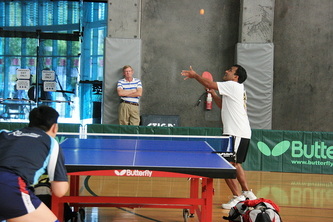 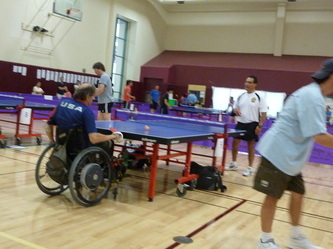 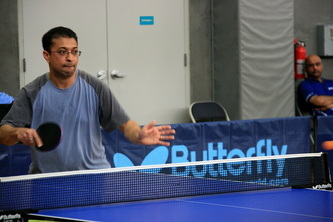 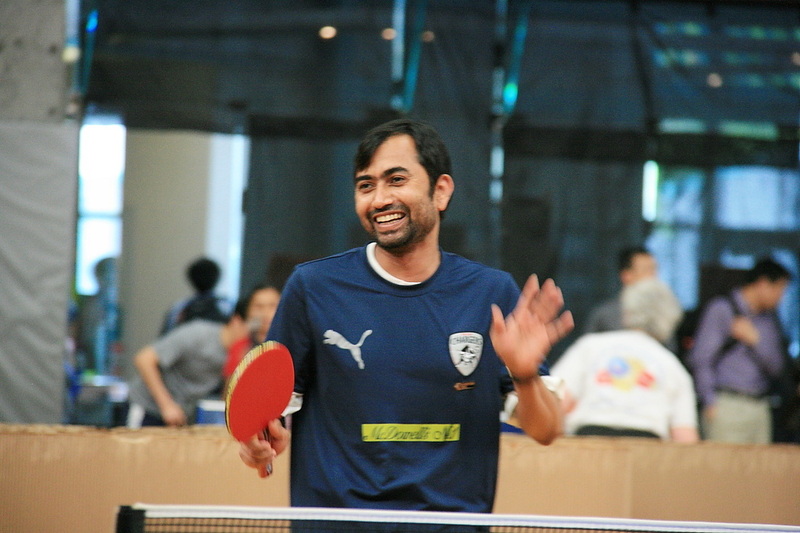 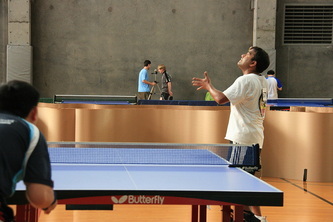 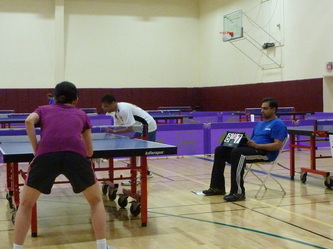 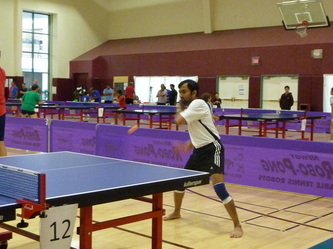 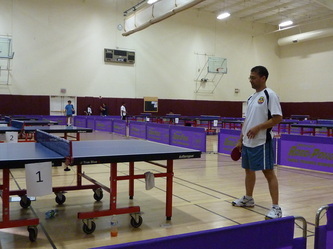 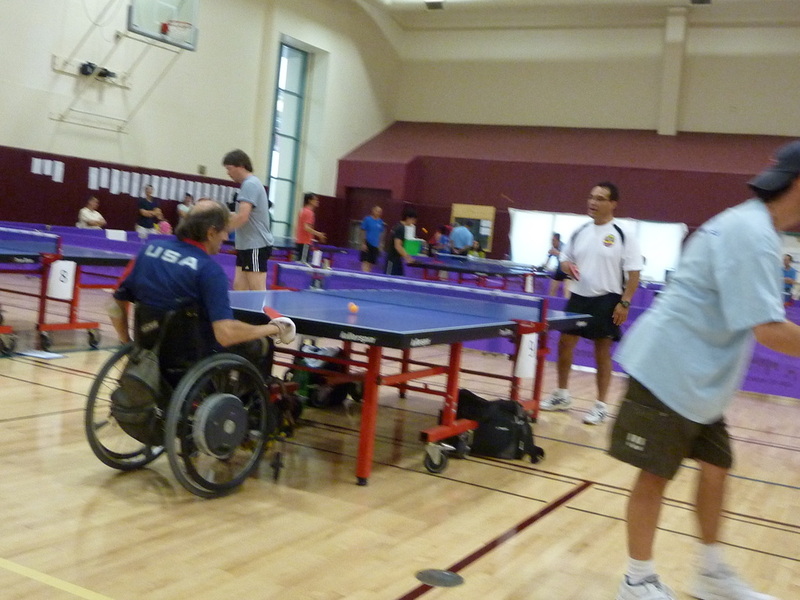 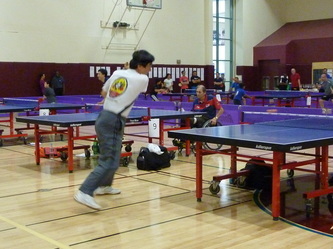 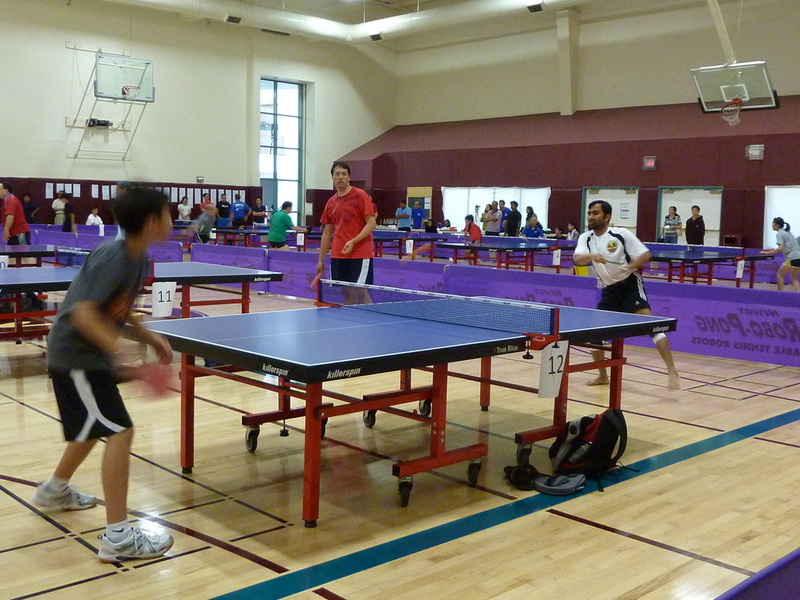 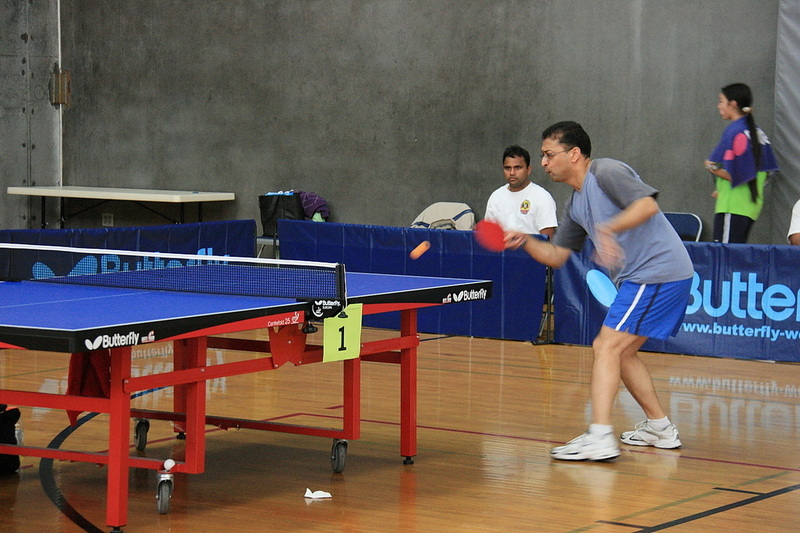 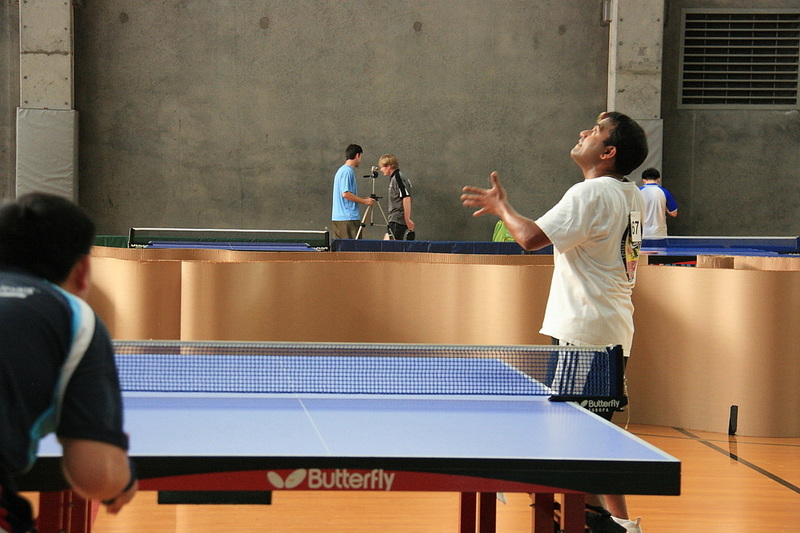 As those who participated in the Western Open know, UC Berkeley has a very nice Gym just for table tennis. 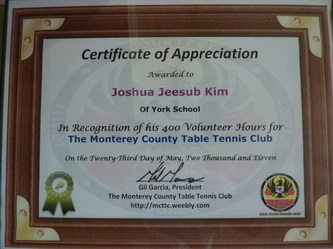 Josh participated in the Western Open a couple of times and is familiar with the Gym. 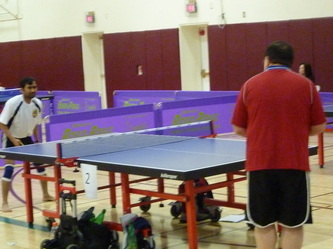 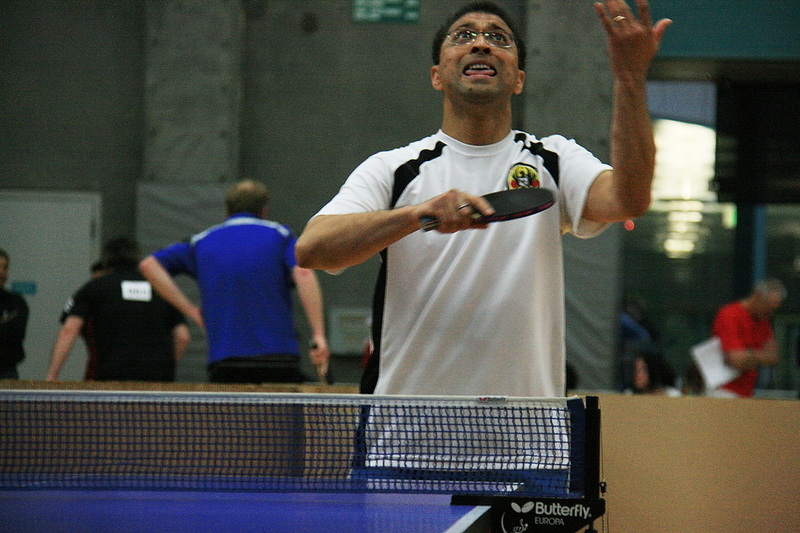 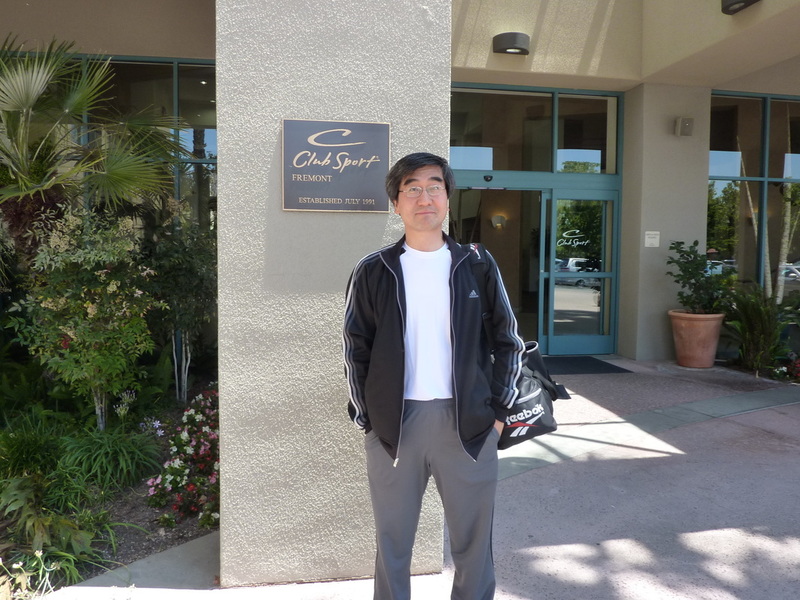 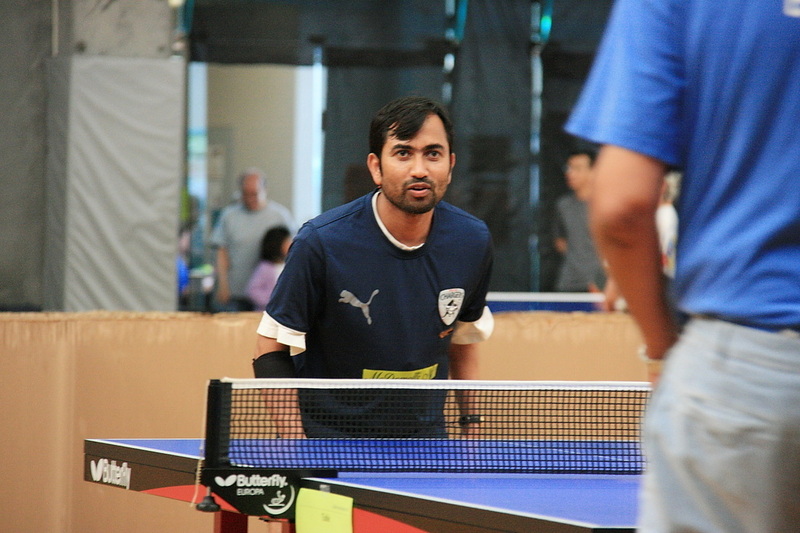 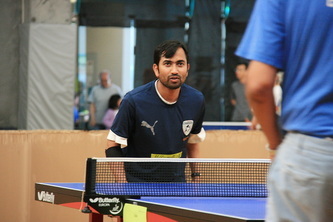 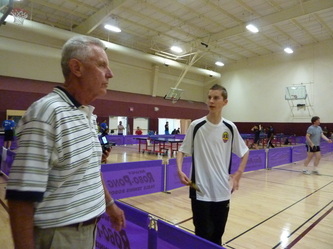 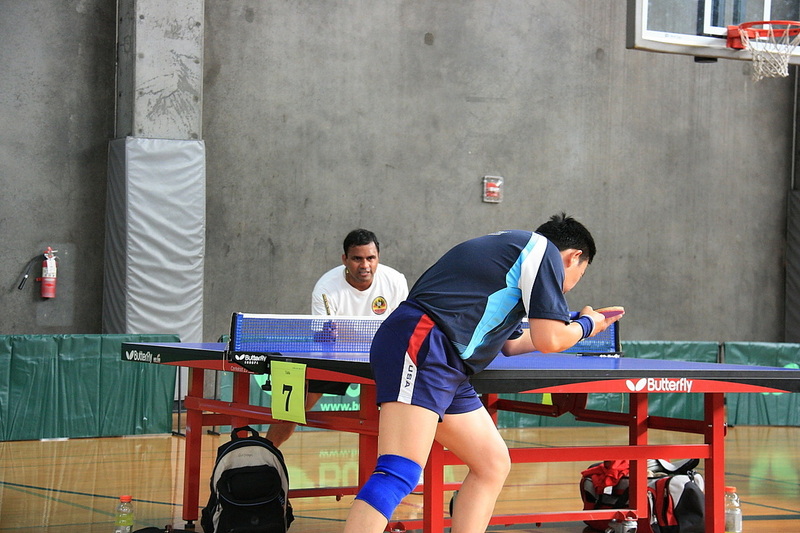 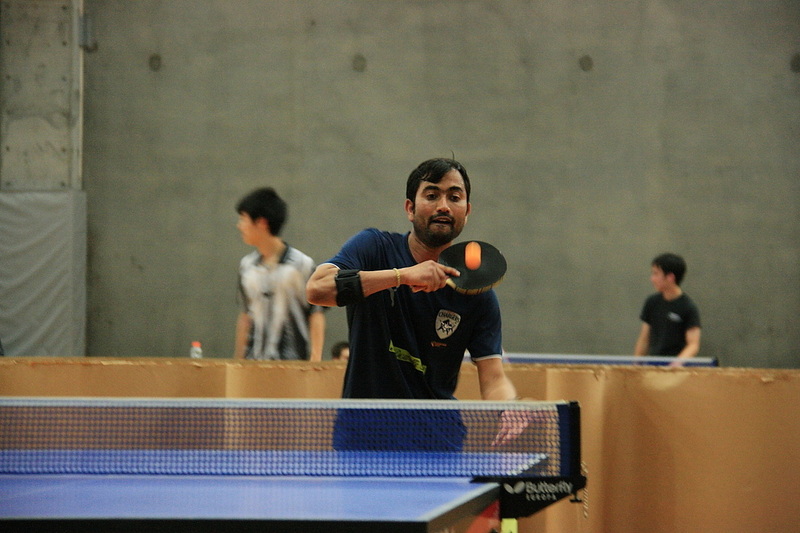 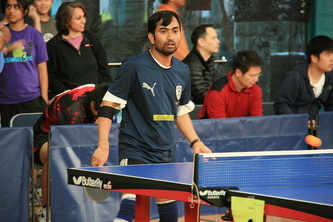 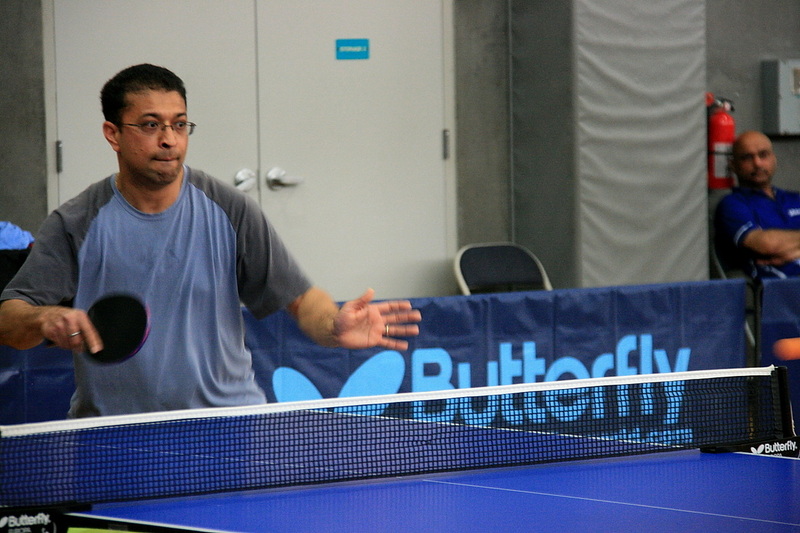 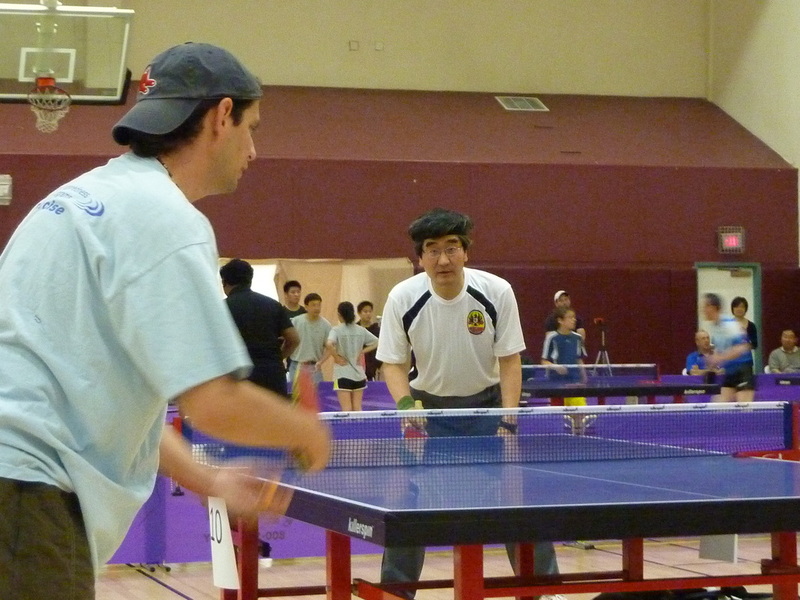 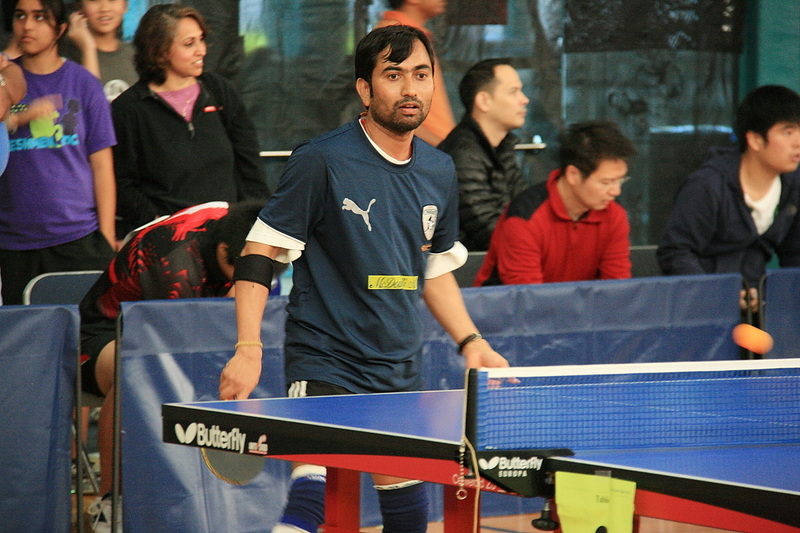 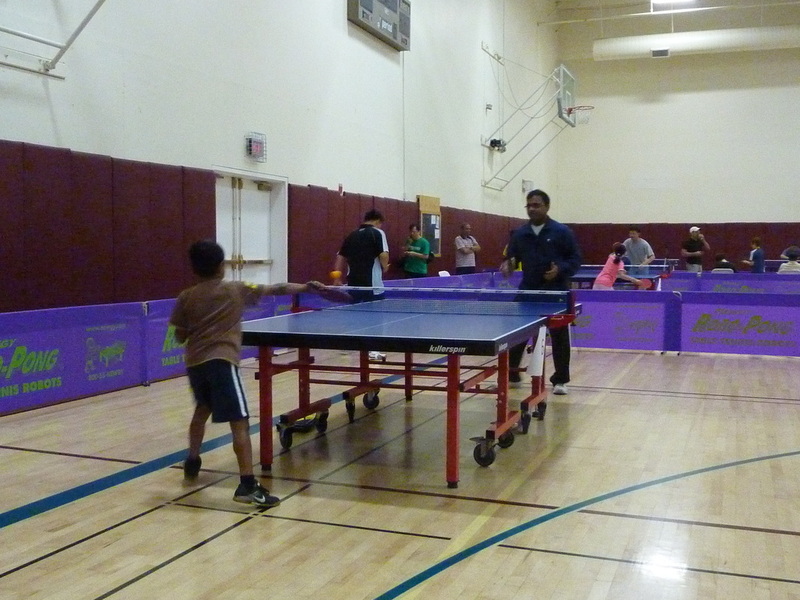 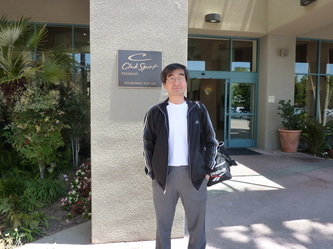 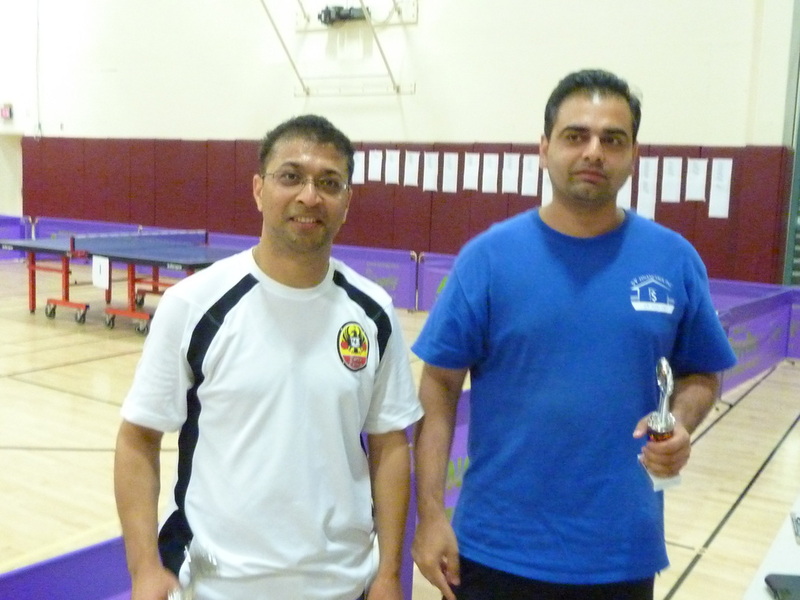 He hopes to be a member of the Cal Table Tennis Club, which is one of the best college table tennis teams in Northern California; they participate in NCTTA Collegiate Competitions, including 2 Regionals and 1 National every year. 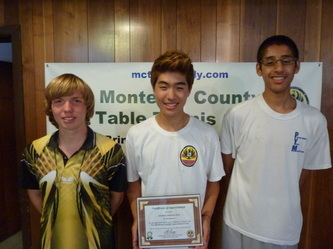 Fellow high school students, Rasheed and Moritz, joined to congratulate Josh. 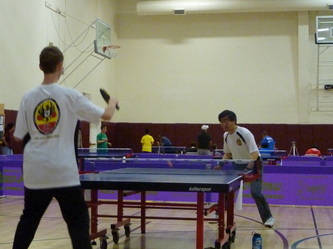 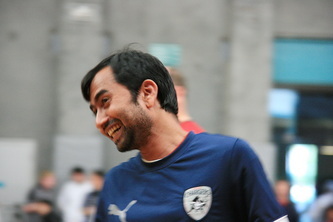 Rasheed is going to Duke University (they also have a good table tennis team) and Moritz is soon going back to Germany.